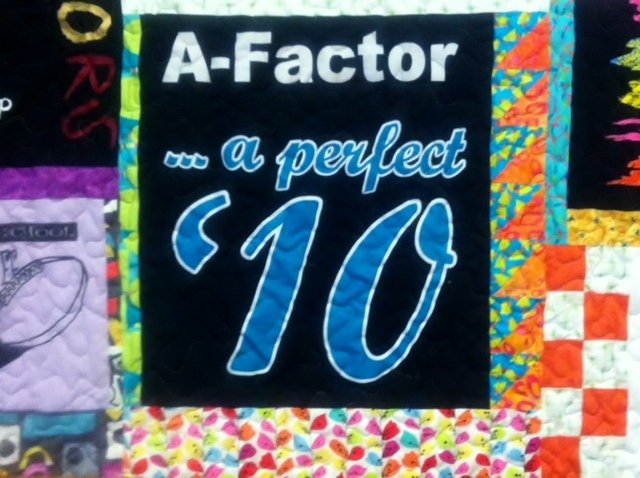 I LOVE working with good friends to create surprise quilts! This beauty is for a wonderful young lady named Andrea! 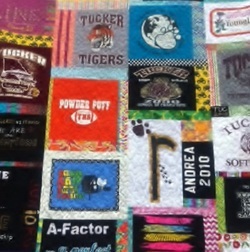 I’ve known Andrea a long time and it was a pleasure to sew this quilt for her! 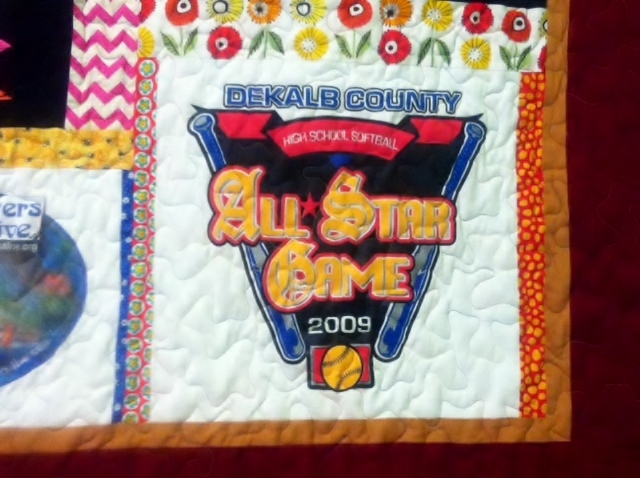 Loved working on this quilt alongside a favorite teacher from Livsey Elementary! She really wanted to try her first quilt, but needed help with the assembly and quilting. It was also such a joy because it was a big Christmas surprise for her son! 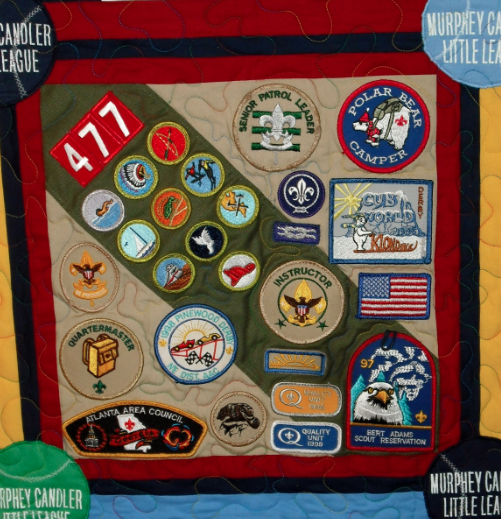 The following pictures show some detail and great ideas from this mom that were really cool! 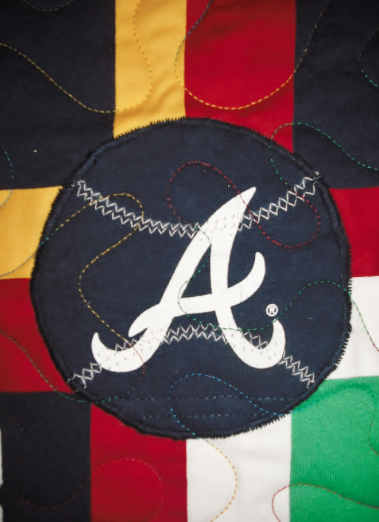 (Check out the way she made some sleeve emblems resemble baseballs! 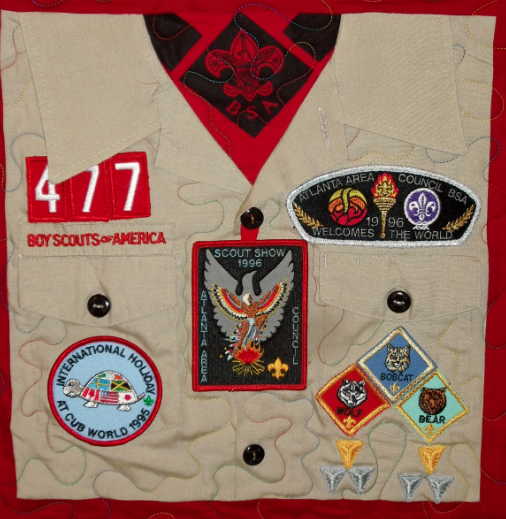 AND amazing work with the scout patches,etc!!) 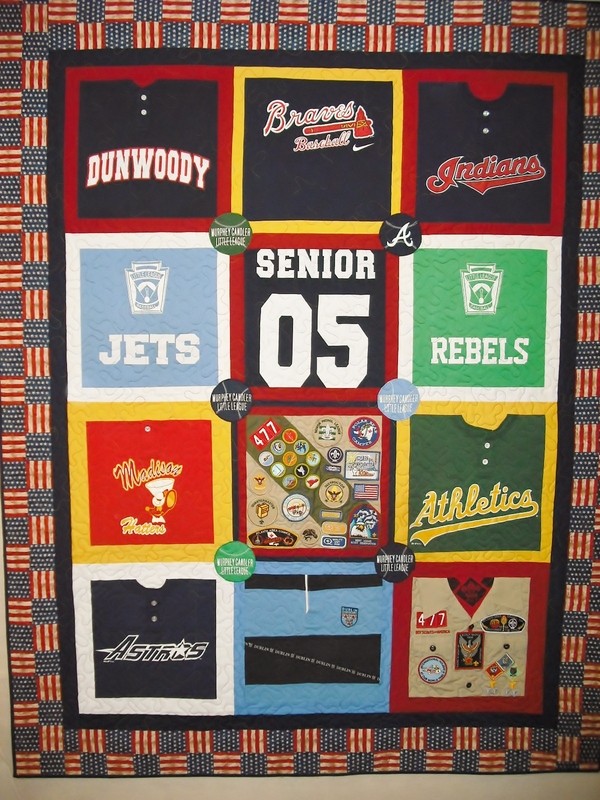 Love to see how people’s creativity explodes when they put so much heart and soul into their quilts! !